Summary: We have found that Veterinarians are only as good as their experience and education. Numerous times we have taken a dog to a vet to have one diagnosis and then to another to have a completely different diagnosis or recommendation. We provide a 17 tips on how to select a veterinarian. Choosing a veterinarian is an important part of having a dog. Here are some pointers to consider in selecting a good veterinarian. Choose a vet that is close by where you live. If you have an emergency you won’t want to have to travel far. Ask people you know for recommendations on veterinarians. Here you may get some good advice from people who have been to several different vets. Visit the vet’s facility with your dog. Is it very clean? Does it smell bad? Does the staff seem efficient and helpful? How does the staff interact with you and your pet? Meet the veterinarian and ask any questions from your observations. Were your questions answered in full? Did the vet make you feel inferior by using mainly technical words? Did the vet communicate well with you? Ask what kind of services the veterinarian has to offer. Do they do on-site lab work? What about ultrasounds and x-rays? What are their policies about emergency services? Where would you take your dog if they were on vacation? Ask for a fee schedule. Cost is a big consideration for most dog owners. Is the veterinarian affiliated with professional organizations; especially universities? 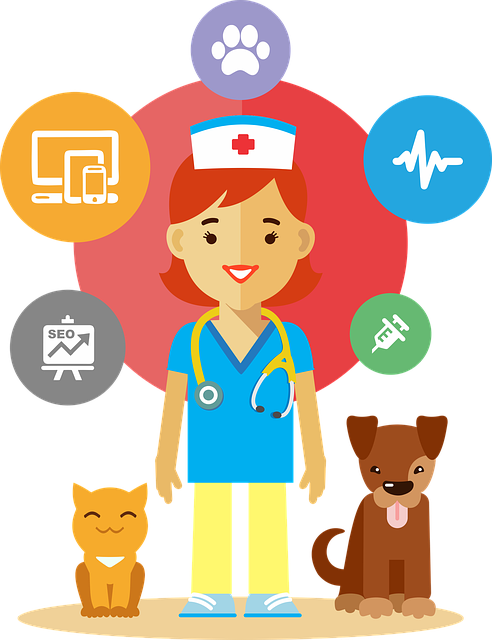 A thorough evaluation of a potential veterinarian will be rewarding knowing that you have spent as much time searching for a good vet as you would for your own doctor. Ultimately, the decision is yours on who you select for your Vet. My suggestion – step one, ask people you know who have the same or similar breed of dog as you. Many vets “specialize” unofficially in horses or cows or cats or big dogs or small dogs, etc. If your vet became a vet to work with horses, then maybe that’s not the right vet for your dog. So, ask around for recommendations from people you know with dogs similar to yours in size. how the animal reacts when he is brought back to that facility. I wish everyone the best of luck in finding the best veterinarian they can.